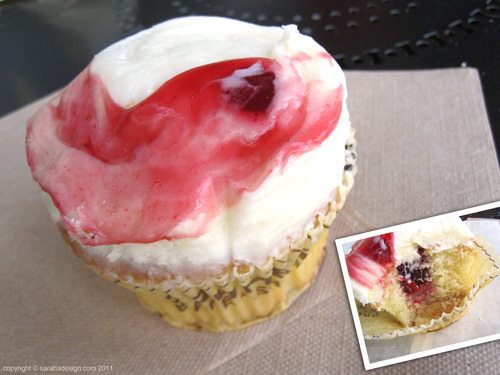 Rasberry swirl cupcake. Just perfect cream cheese frosting and jam filling! 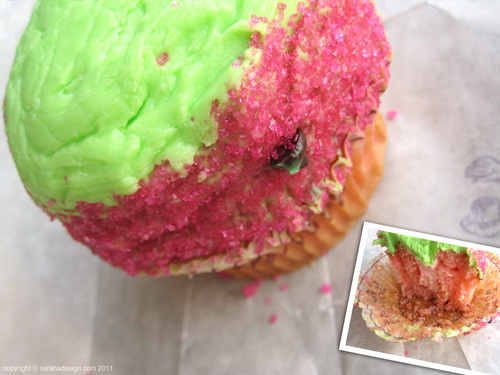 Cosmopolitan cupcake! Mild flavoring, cream filled and pretty colors.